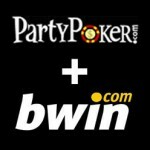 Its been a long process that has been leaked into the gambling community via a number of sources but Bwin and PartyGaming have finally moved to confirm that they are holding talks regarding a possible merger deal that will see Bwin operate within the PartyGaming Network. The confirmation means that the rumors that have been in circulation for almost 6 months were correct and the two companies will look to play off each other as they look to make the PartyGaming empire larger with the addition of the Bwin gambling brand. Although both parties are happy to confirm that the rumors are in fact true, they are still refusing to make any real comment to the public while they are still trying to hammer out a possible deal between the two big players within the gambling market. PartyGaming are believed to be linked with a number of other high profile gambling brands too, with the likes of 888, SportingBet and UniBet all also to be believed to be interested in a merger deal. Should the company be able to secure deals that would include all four companies, the size of the network would increase significantly due to the number of members and users that each of the linked brands already have within their base. Bwin also brings to the table advanced marketing, with their branding displayed in sports such as the English Premier League, increasing their brand awareness across the world. This news could be soon to be made bigger still should the UIGEA be lifted in 2010, opening up the opportunity for a number of countries to wager bets through online gambling. Should this happen then we can be pretty sure that we will see the rise of a third major brand within the online gambling industry. This entry was posted on Tuesday, February 9th, 2010 at 8:04 am and is filed under Poker Industry News. You can follow any responses to this entry through the RSS 2.0 feed. You can leave a response, or trackback from your own site.